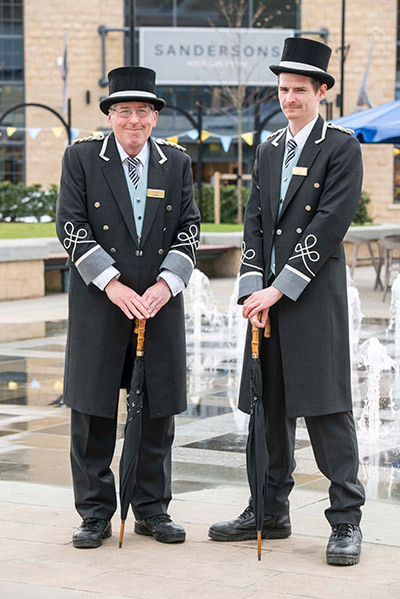 The Beadles were introduced to Fox Valley as customer service and security roles. They are here to assist with a smooth running of the centre, while offering a high level of customer service. They will be quick to put an umbrella over your head if it is raining, give you a hand with your shopping if your hands are full and offer a friendly face if you require any assistance or information. We have introduced a customised “golf buggy” style electric vehicle which will operate as a weekend service between different parts of the centre. 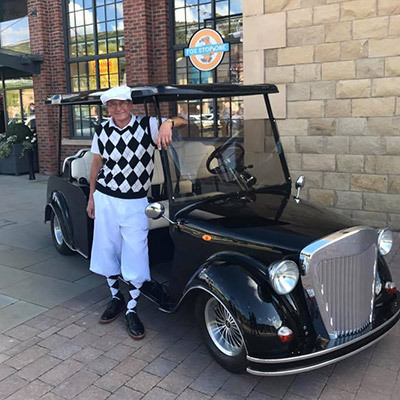 This will be driven by Fox Valley host David Way, who will be dressed in classic plus fours and tank top inspired by the James Bonds films of the 1960s and 70s. The style of the buggy is inspired by the classic styling of a Rolls Royce and can seat up to six people. This experience will be something for all to enjoy when visiting the centre- either for the ride and learn about the history of the area or just to get from one place to the other. Fox Stops, where the buggy will pick up and drop off, have been installed at Sandersons, Seasalt and the market area at Fox Valley. This service will be running every Saturday and Sunday from 11am-4pm. It will also be used for special events at the centre. The Fox Valley Ambassadors are on centre at big events and every Saturday. 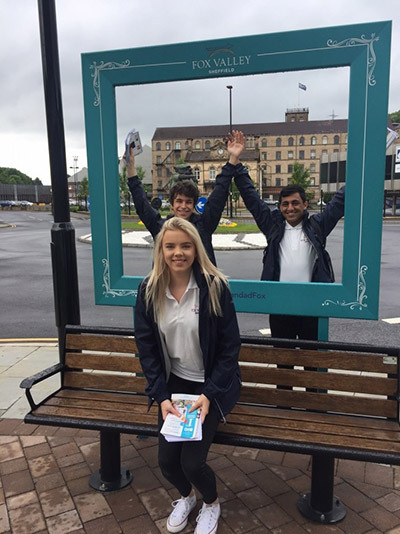 These friendly faces are there to help advise visitors about events and great deals happening on the centre, while also acting as an information point. They will happily help you with any queries you may have and often are decked out in the latest products from across the store on the centre. 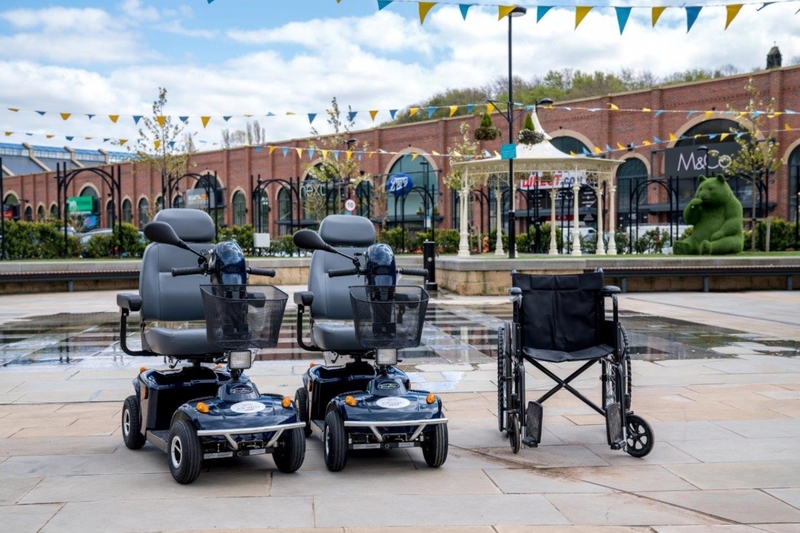 Self-drive scooters and wheelchairs for hire now available at Fox Valley. To book, please call Centre Management on 0114 213 8065 or the Fox Valley Beadles on 07590 861697. Alternatively, please see one of our friendly Beadles at Fox Valley. One form of identification is required. Service hire is free of charge.